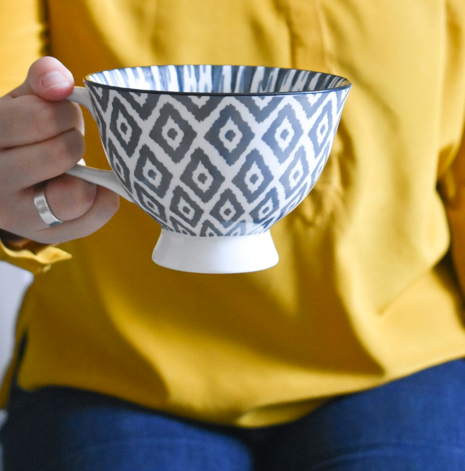 There’s a theme that comes up regularly when I’m talking to clients, whether it’s a one-to-one conversation, or in my group coaching programme, or on retreats. It’s the dilemma of shifting the flow from a vaguely (and sometimes worrying) downward spiral – low sales, low motivation, low energy – to a positive, regenerative, profitable cycle of business. We often get stuck on the hamster wheel. We’re overworked, underpaid, with too much to do, which means we don’t have the energy or resources to make a change. We tell ourselves we have to keep going, but not much is working and we seem to be more defeated, further behind, less successful every time we check. This is a place of short-term, of scarcity, and of fear. It doesn’t tend to generate orders or new ideas or clear focus for what to do next. It can feel like we’re trapped. We certainly aren’t sure if our business will survive when we’re in this place. Because orders are low, we’re risk averse. We don’t want to invest in new products or in support that could help get us out of this downward spiral, in case we can’t afford it. In case it doesn’t help. In this place, it’s almost impossible to shorten the to-do list or discover a place of clarity. Everything could be the answer; nothing is definitely the answer. We can wind up sleepless, doubtful, stressed, anxious, and with no idea how we even got there. Nerves fray. Tempers rise. Moods darken. The other place (I feel a bit The Good Place, but that’s another story…). The other place, is generative. Everything you do adds to your business. That product you invest in makes money, creating the next wave of investment. With the wind at your back, it’s easy to keep up momentum – it’s easier to retain customers than find and engage new ones. Each good day allows you to feel better about the next day. You can take the positive results of yesterday, believe in yourself, and put your energy behind your next (brilliant) idea. It doesn’t matter which item you check off your to-do list next, because they’re all good ideas, making great strides in your business. They’re all going to pay off. Asking for support feels like a choice you can make when you’re ready, and you can even indulge yourself by asking for exactly what you need, in the perfect timeframe and with just the right person. You can afford to invest in getting the right support for your business, and you get to choose how and when you do. Any fear is quickly taken care of by a straightforward and achievable solution. You might wonder about it for a couple of days, but then you’re ready to solve it. This is kind of what people imagine about being on the right side of a mysterious algorithm: the more you sell, the higher you appear, the more you sell, and so on. This is the upward spiral. The truth is we’re usually moving between these two directions at any given moment. Neither is 100% realistic or true. We’re never running into the ground as quickly as we think. And the world isn’t as charmed as we imagine others experience it to be. Worry-free business? Rare. Like unicorn rare. But there is some truth in it. Partly because that first situation I described is when we’re stuck in the short-term (and fear), and not focused enough on the long-term. We can achieve more in the long-term than we imagine. But to do so we have to break the cycle of constantly focusing on the couple of weeks in front of us and make a plan that gets us to where we really want to be. I’ll say this: when you have a long-term plan and are working towards it, it’s much easier to be in the present moment and enjoy your work and life. That’s not the same as being stuck in the short-term. Let’s not confuse the calm, clarity and connection of presence with the urgency, scarcity of short-term thinking. In fact, presence can be one of the ways out of short-term thinking. Presence can get us focused on one thing at a time, rather than tripping up over ourselves to answer emails while creating a bestseller and writing a wholesale pitch and trying to post something brilliant on Facebook. Presence is the first step to stop the hamster wheel of short-term thinking. Step 1: Give yourself presence. The first thing I recommend is to pause. Be present in this moment. Notice where you are. 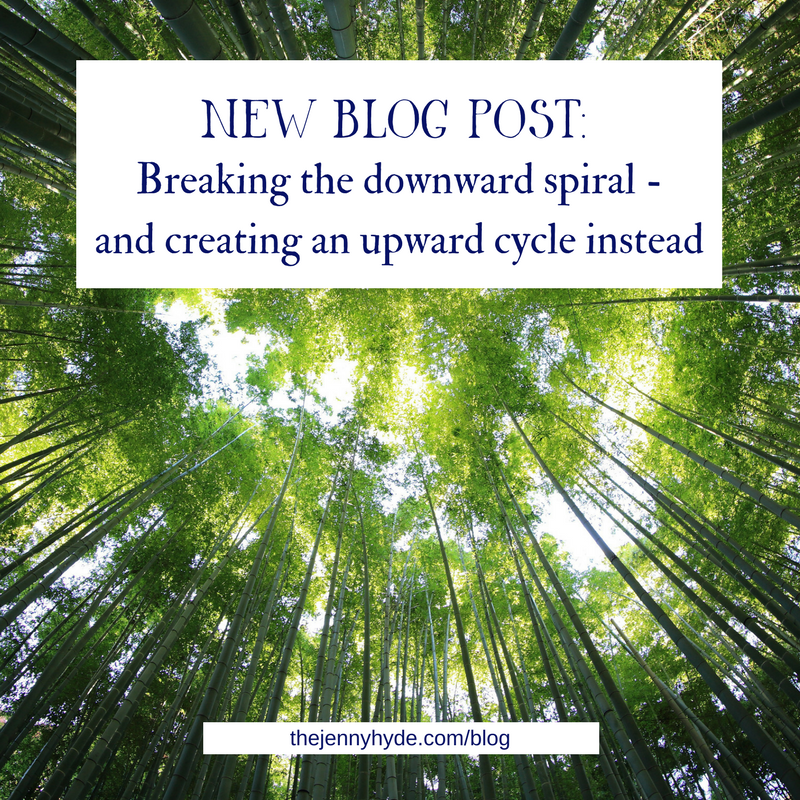 Are you in the hamster wheel, on the downward spiral? Are you on a positive cycle? Are you somewhere in between? Find yourself on the spectrum. In other words, if you want things to change, you have to change them. If you’re not getting the results you want from the actions you’re taking, it’s time to change the actions. Before you make a change, make sure you’re really clear on the results you want. What do you actually want to change? How do you want to feel? What do you want to be true? Meditate, visualise, take yourself to a coffee shop or a quiet place, and write it all down. Let yourself be really honest about what you actually want, what success would actually feel like and look like. Maybe you want a certain turnover figure. Maybe you want to get sales from a specific place or type of customer. Maybe you want to have more time with the kids. 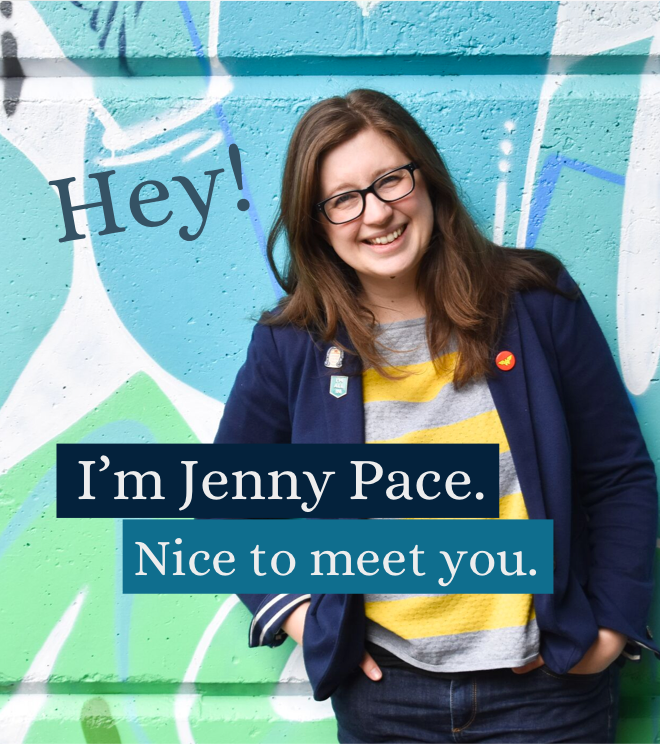 Maybe you’d like to venture into speaking at events or being invited to guest post on someone’s blog. Be as specific and clear as you can. Let it simmer. Step 4: Be really honest. Throw out anything that isn’t getting you closer to those dreams. The free work you’re doing, when you’re not even making enough money to cover your expenses? Out. The constant development of products you don’t love because it’s kind of fitting the bill right now? Stop. 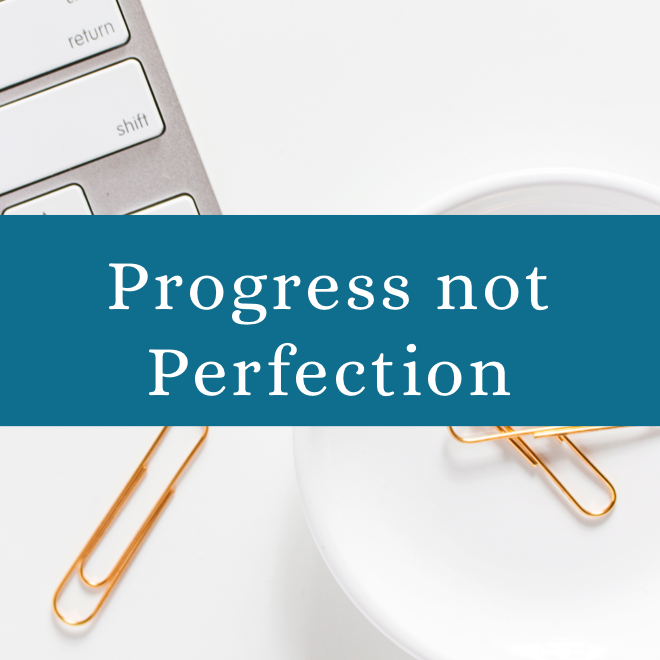 The need for perfection that holds you back from getting the good work done? Hold it right there. You know. Deep down, you know what’s holding you back, but you have to see it. You have to see how you’ve been getting in your own way or not seeing the problem clearly enough. Maybe you’re building sales up to a new level, but you don’t know how yet. Be really honest about the skills you need, the things you need to learn, the way you want to get there. How you get there is as important as getting there. Maybe you feeling like you’re trying to learn, but nothing’s coming together yet. If you genuinely haven’t learnt anything in the time you’ve been trying, it’s time to try in a different way. Channel your inner Hermione. Make a learning chart. Give yourself gold stars. Step 5: Give yourself enough time. Change doesn’t happen overnight. If you’re trying to shift gears, you need to give yourself time to learn, to change, to see results. Be generous with it. Stop thinking short-term, and give yourself longer deadlines, broken down into really, truly, genuinely bite-sized chunks. You’re human. It’s time to stop hoping you’re a unicorn. And a bonus step: Remind yourself daily what you’re working towards. Give yourself gold stars for even showing up. Reward each tiny piece of progress. Get yourself a buddy and cheer each other on. Hire a coach or assistant who’ll help keep you motivated and accountable. Put up your goals on the wall. Remind yourself that you’re doing things differently. And it takes time. Change your perspective on this. Set yourself free from the hamster wheel. Give yourself the gift of long-term success. This feels a bit soap-boxy but I know that these things change the course of a business, because I’ve seen it happen. I’ve done it myself, in my own business. Have a question or need some support? Get in touch. I would 100% love to hear from you. Now good luck. I’m cheering you on. PS Interested in getting regular encouragement and cheerleading and motivation and structure? Consider joining Progress not Perfection, my group coaching programme.